The Clean Train Coalition has been quiet over the winter, but the anti-diesel train group has had two notable successes this week. 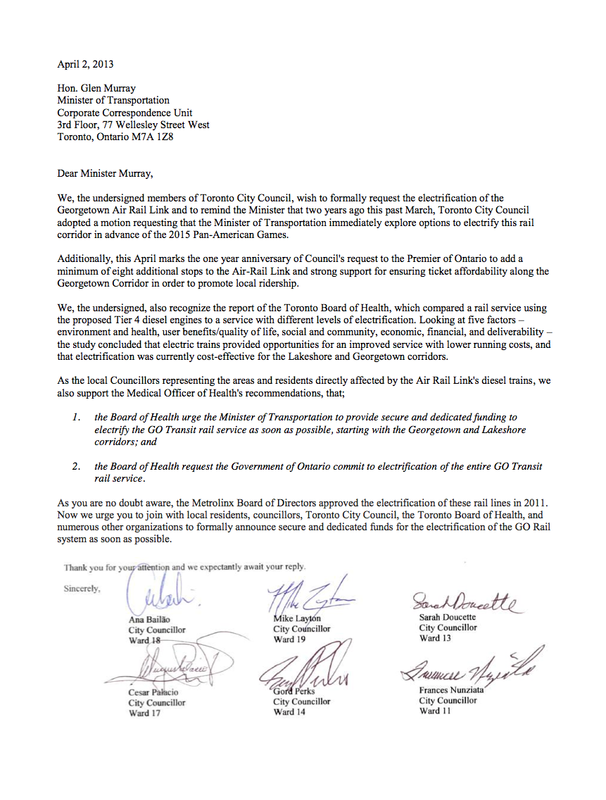 First, they got together with citizens to the south of us to “make electrification the election issue”—anticipating an election sometime soon—according to InsideToronto. Residents in Roncesvalles Village are drawing a line in the sand and vowing to make electric trains the hot button issue during the next provincial election. At a meeting of the Roncesvalles-Macdonell Residents’ Association (RMRA) on March 26 Doug Bennet, the director of the Clean Train Coalition and the Chair of the Wabash Building Society, gave the nearly 50 residents in attendance an update on the issue. 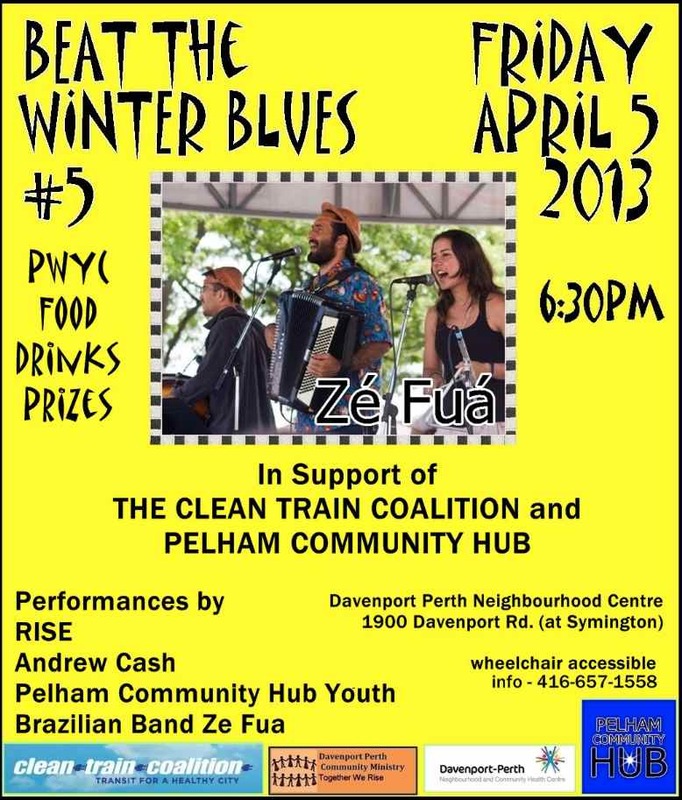 There will also be a celebration this Friday in support of the CTC at the Davenport Perth Neighbourhood Centre at Davenport and Symington. It’s a pay-what-you-can event.